Update: in order to take part in the pre-release Spaltfest, you need to download the update for the Splatoon 2: Splatfest World Premiere demo (if you already downloaded it). Click here for more details! Yesterday, Nintendo livestreamed a brand new Nintendo Direct presentation, entirely dedicated to Splatoon 2. If you missed it, make sure to check out this post to get up to speed about everything announced and revealed!). 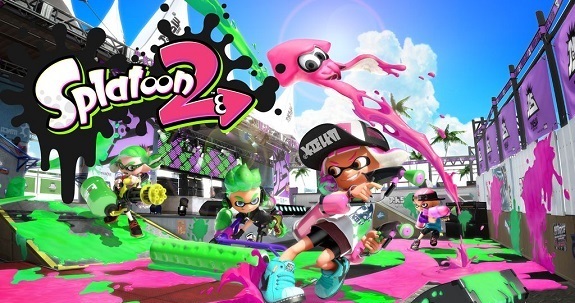 The Splatoon 2 Splatfest World Premiere demo was announced during this presentation, and it’s now available for download from the Nintendo eShop. This demo is required to take part in the very first Splatfest, which takes place on July 15th worldwide… that’s right, even before the game is even released! It will serve as a good stress test for Nintendo’s servers, a week before the release of the full game. NB: since Nintendo is using a separate “app” for each region, you can download the demo version for each one if you want. That will allow you to take part in all three Splatfests if you really want to, but obviously, you will only get to play with players from the region of the demo you download… which means lots of lag! For more details about that very first Splatfest (and all the others that will follow! ), make sure to check out this post! Speaking of Splatoon 2, Nintendo is ready to start advertising the game in earnest in Japan. Today, the company unveiled not one, but three separate TV Commercials.